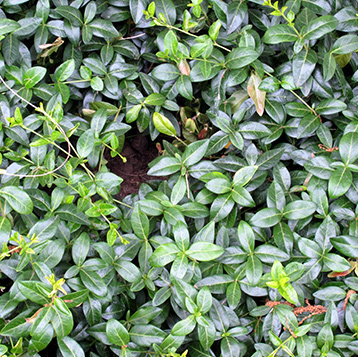 Myrtle, also referred to as vinca minor or periwinkle, is suited for partial sun to shaded areas. The dark green foliage emerges in the spring and produces eye-catching, periwinkle colored flowers in the spring. Ground Cover is available under perpetual care only. Please contact us if you need help determing the size of your planting bed. Download the form to order by mail.